These days, computer worms, viruses and spywares have been affecting and infecting computers at a speedy pace. Usually transferred through internet by internet chat, e-mail, network sharing files or other mediums, they could impact the existing data and files available on a computer system. Are you seeking online assistance of computer repair experts that can help you with virus and spyware removal promptly from your system? In today’s technological and computerized world, where almost each work procedure is driven by the online data transfer, it becomes significant and mandatory to keep a check on the security in order to protect the integrity, authenticity and confidentiality of information transfer. The more use of internet is there, likely chances are there to get more viruses, spywares, worms and malwares especially if there is no virus removal software installed on the system. Though, there are many service providers online claiming to have superior and premier versions of virus and spyware protection programs but it is equally important to be aware of the scams. Many of them are just known as low quality scanners that are not capable to remove or detect any kind of flaws whereas some of them are malware themselves feigned as PC protection programs. Having a good and useful virus removal tool and antivirus program is important to download in your computer system if you want all your sensitive data and information to be safe and secure. Such viruses and computer worms lend several negative effects on your system as they consume up a lot of memory space and force the system to run very slowly. Another bigger disadvantage that they can do is deactivate the firewall and slows down the security feature of the system. It actually creates an escape for hackers and unauthorized people to gain access and steal confidential and sensitive data from the users including the user names and passwords. In case, you suspect that your computer system is getting impacted from such parasites, first of all you should download and install virus removal software and sign off the internet. It actually assures that no sensitive data or information could be transferred out of the web platform and prevents the virus, spywares and malwares from spreading on to other platforms including e-mail lists and messenger. If you are seeking virus, malware, spyware help, look for Heroes and Geeks technically sound and expert’s assistance and support in Los Angeles and that too in affordable pricing. We are being skilled and specialized in repairing computer problems, fixing them, and provide immediate solutions to the problems. Offering a large array of services including computer repair services, installing software, virus removal, installing operating system, clean your computer, backup and restore, remote support and more, the one stop platform to avail everything at competitive pricing. Looking online the best and experienced computer repair service provider in Los Angeles? When you need computer support, repair and maintenance related assistance in Los Angeles; this is for sure that not just any firm will do. Everyone used to offer different levels of services and it could be difficult and a bit troubling to tell the good ones amongst all service providers claiming to render their best. There are few things that you can consider while evaluating and exploring them online. First of all, look for your budget as if you are a bit on tight schedule, look for the service provider that proffers its initial consultation at reasonable charges. And do not go for signing up a long term contract, in fact try to go for the one that provides services on monthly basis so that you can be sure of their services and if feel satisfied with the same then go for the longer term sign up. Always remember to check out and explore more about their support assistance, repair services and everything. If possible talk directly with the concerned person instead of on e-mails or chat. Another thing you can look for is to check out that the company has the knowledge, expertise and experience to support your hardware or software. The service provider must have skilled and talented pool of technicians who can handle technical as well as non technical glitches in a hassle free way and without panicking. Adding to this, try to go for the one that provides computer support services and solutions throughout the Los Angeles covering Eagle Rock, West Los Angeles, Culver City, Monrovia, Studio City, South Pasadena, Vernon, Silver Lake, Sherman Oaks, North Hollywood, Hollywood, Monterey Park, and more. Wondering how it would be possible to find a company that provides services including everything in Los Angeles? Well, the interesting part is that the company is there that provides everything and has several years of experience in the computer service and repair industry and that is Heroes and Geeks. Based in Los Angeles, we are offering comprehensive services and package for all your computer and technology requirements and that too for both Mac and Windows. 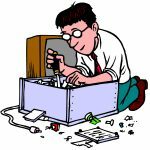 No matter, if it is about Apple and Mac repair, laptop repairs, on-site computer repair, virus and spyware removal, computer hookup, computer set up, computer tune-up, data backup or transfer, data recovery, e-mail setup, hardware install, hardware repair, operating system install, printer set up, printer troubleshooting, software install and setup, technology consultation, computer training or wireless networking, Heroes and Geeks is the best company that you can rely upon for hiring and availing our outstanding and simply excellent services. Our agents are highly dedicated and passionate to make your life simpler and are available 24*7 to provide the support. Feel free to connect with us [email protected] or give a call at (213) 263-2488. So, hire us and make your life easy going. No matter how often you use your computer system, whether for work on daily basis or at times, you cannot really afford to lose your vital and important files and data. Losing official data or any other important information could cause not only losing money on one front but also on the other make a bad impression and negative impact on your company. If you also gone through such a problem or going through, look for data recovery services. In most of the scenarios, companies and organizations used to save data and files on hard drives and they are highly delicate. With even a bit of mishandling, these drives may fail and collapse. In few cases, the drives get damaged to such extent that it becomes impossible to recover them. But in most of the cases, data and information stored on such drives can be recovered easily with availing expert’s assistance and special data recovery apps. But the fact is only experienced and reliable data recovery loss service providers should be hired to handle this task as the data could be confidential and you may not wish to hire someone who will do more damage to your hard drive. Heroes and Geeks is one of the experienced and trustable company providing expert data recovery services in Los Angeles and all around. Even the company provides remote support and assistance if needed and that too at extremely competitive pricing. Make sure to seek services who can handle restoration of the data in an efficient way. When RAID controllers are involved or fail, it is difficult and almost impossible to recover the data as it means that the issues are with the hardware. In case, you can’t access the RAID system, it becomes necessary to seek specialist help and assistance. With the regular usage, and perhaps careless handling over the course of time period, computer system and related peripherals seem to undergo wear and tear. Many times, storage media gets corrupted due to spills. Just for an example, when the computer system comes into contact with water or something, issues happen and if the hard disks don’t function properly, they start producing strange sounds. In most of the scenarios, data recovery firms gets systems where the storage media is exposed to different types of liquid including water, coffee, tea or soda etc. Expert service providers can retrieve the data in these cases for sure. In all, if you have been looking out for a good and sound data recovery service provider, you might explore several firms online but Heroes and Geeks is highly recommended because of its impeccable services offered from years and the expertise that the company has is simply outstanding. Make sure to not hire any service provider based on the service charges alone as the data is at risk and you definitely don’t want to lose it just because of few pennies. So, go for specialist’s offerings to stay away from any mishaps. In this digital age, everyone is getting increasingly dependent on computers and laptops for their day to day office work along with personal stuff. Similar to other handheld devices and electronic gadgets, at any time computers can also breakdown or fail lending all your work remain like a standstill. And that time you start exploring for an experienced and reliable computer repair service provider agency or skilled technicians who can not only help to fix the issues but also put you back on the right track. The right kind of technical support and aid could assure that your computer system is been running and up to date. In some agencies work procedure, technicians visit you at earliest to show you some kind of relief. Many of them prefer to cater aid through e-mails or chat or phone calls. Also, there are some that provides technical support through remote desktop technology that is actually an advanced and time saving method. Offering all kind of networking support for homes as well as offices, the company’s technicians address all types of related issues like remote access, backups, router concerned problems like Ethernet or wireless router, and many others. Along with this, support related to installing software, updating the same and maintenance related problems are also provided by them. Heroes and Geeks is one such reliable and acknowledged computer repair and networking support service provider providing high quality and assured satisfactory services to users on a large scale from years and at reasonable pricing in Los Angeles & it’s surrounding areas. Along with taking care of software, networking and all types of support, we also offers hardware support including repair or replacement of any hardware or reconfiguration of the system and so. In general, we work on AMC that is annual maintenance contracts with the firms all around that is actually profitable and beneficial from the costing point of view. We also provide 24/7 helpline and assistance so that we can help clients instantly and provide them peace of mind. The service charges highly depend on the nature of work done or on hourly basis. Though, for many agencies, the rate is been fixed each month and if any replacements are there, they cost us extra. This kind of service charge trend is in demand these days as it turns out to be economical and many prefer to have a fixed price each month so that they can also feel rid of such issues. Do make sure to visit Heroes and Geeks support and assistance to acknowledge more about varied kinds of support and services we offer. The expert technicians will take up all the work with diligence and dedication assuring no hardship caused to the client. In this digital era, owing a computer is very common. If eventually it fails or crashes, getting it repaired in the quick fashion is necessary and important in the minds of users. For most of the businesses and people situated at all corners of the globe, seeking for the right and experienced company is essential and a vital concern to think of. Every sector in today’s world including governmental, financial, social and educational domain depends and relies on its wide computer network not only to keep the communication 24*7 but also provide solutions to real time scenarios. If it fails, it could be devastating resulting in the loss of productivity and business and the critical part is if the user doesn’t have backup of the data, it could be troublesome at that point of time and mobile computer repair companies are the only way at that time that can do wonders and assist to repair and fix the issues. 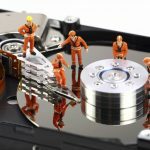 Selecting and availing computer repair services is not something that should be considered in a light way especially if you know that you have access to highly sensitive photos, documents, files, data and more on your system that you do not wish to lose. Make sure to consider and take care of few factors before finalizing anyone. Being wise and smart can help you save your lots of time as well as money. While looking out for the expert services, it is important to take pricing into consideration. Determine and get an estimate first of all with the respective computer repair person to get an overview for how much repairs will cost you and whether it is going to be by the hour basis or as whole. It is absolutely perfect to know and inquire about the pricing before any edits or modifications are made by the repair company on your system. It is important for yours as well as company’s peace of mind. Another important factor that needs to be taken care of include time constraints, so make sure to let the repair company aware of the time frame in which the repairs need to be done. It could be a bit tedious for the company to tell the exact time especially if your computer demands a lot of work but at least it should be fair and honest about the situation. Make sure to ask them if they provide any kind of guarantee for their work or services. Heroes and Geeks is a reputed and experienced mobile computer repair service provider and been serving the industry from long. Popular and renowned all across Los Angeles for its services, it provides complete package to handle and manage all your computer technology related needs. So, get in touch with them and rest is assured in their hands for sure. Have a Wi-Fi connection but it is running slow than expected? Well, there are few tricks that can really help to boost and improvise the speed of your Wi-Fi connection, no matter whichever operating system you have been using. Apart from this, in many cases it is also recommended to seek computer repair service providers that can help in issues related to Wi-Fi and networking. Heroes and Geeks is one platform on which you can rely upon anytime in Los Angeles. Use one internet program at once – People don’t realize that all sorts of programs like MSN, Skype take up bigger amounts of Wi-Fi bandwidth so, make sure to run one at once. It is important to close down the programs that are not in use as they will be slowing your system speed and affecting connection down. In general, Wi-Fi connections have a specific level of bandwidth and if you are using too many programs in order to consistently fetch the same data, you will just end up in slowing down your entire connection speed. Download and install the latest drivers – It is vital to install latest drivers in your computer system as they are means that help windows to run hardware on it. Required for every component to work and operate effectively on your system, if you want your wireless connection to run as fast as possible, than look for the latest drivers download, read the instruction carefully and install them. Upgrade your router or card – If you have a computer, try to upgrade your Wi-Fi card to ‘N’ type and router that supports N speed format as, these are known to be the network that easily run on 100 mb/s over wireless connections and that is extremely fast. Secure your connection with a key – Many people avoid and consider it very unnecessary to leave their networks exposed to unwanted people by not protecting it. Put a WPA key that is more of a password that allow you and family members only to use the connection. Clean registry – It is one of the widest recommendation pieces of advice give by people as it works most of the times. Registry keeps a track of your computer information, software, most visited and accessed websites, latest e-mails, files, desktop icons and more. Sometimes, windows save some of the files in a wrong way making them inaccessible and unreadable causing computer Wi-Fi connection to run slow. So, download a registry cleaner, use the software and speed up your system. The computer repair service providers make sure to undergo each of this procedure to boost up the speed of your Wi-Fi connection, so make sure to get in touch with Heroes and Geeks as the platform not only costs you little but saves your work and helps your computer system speed to run in a better way.